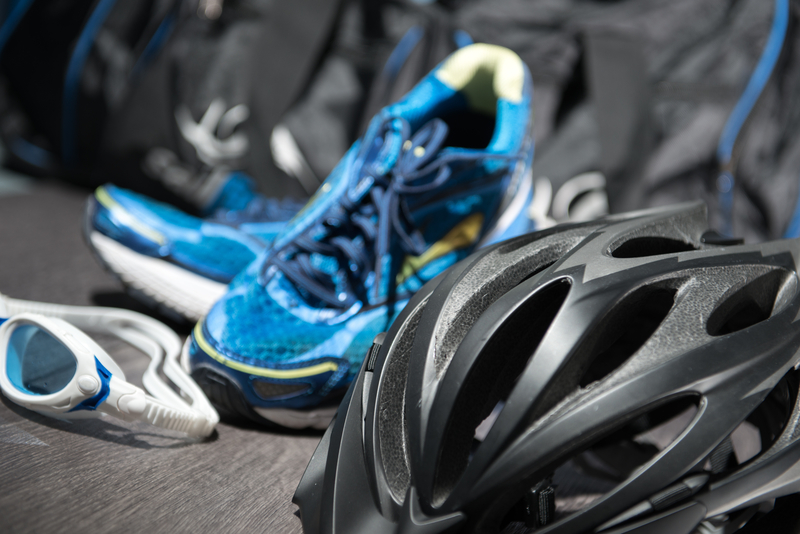 If you have made the decision to train for a marathon or triathlon, good for you! However, these types of competitions take time, dedication and specific training. Many people get injured in their training because they don’t know what they are doing. Use these tips as a baseline for training properly for marathons and triathlons! Only 25,000 people ran marathons in the United States in 1975. Now, around 500,000 run marathons each year. You don’t have to be a young gun to run marathons. The median age of runners are 40 for men and 35 for women. Marathon and triathlon competitors can go well into their 70s and 80s if they are healthy enough for these races. Marathons and triathlons were part of the Olympic games in Athens in 1896 and were done in other parts of the world in the 1800s. The marathon became 26.2 miles long per request of Queen Alexandra. The race started at Windsor Castle and ended on the East Lawn of White City Stadium. 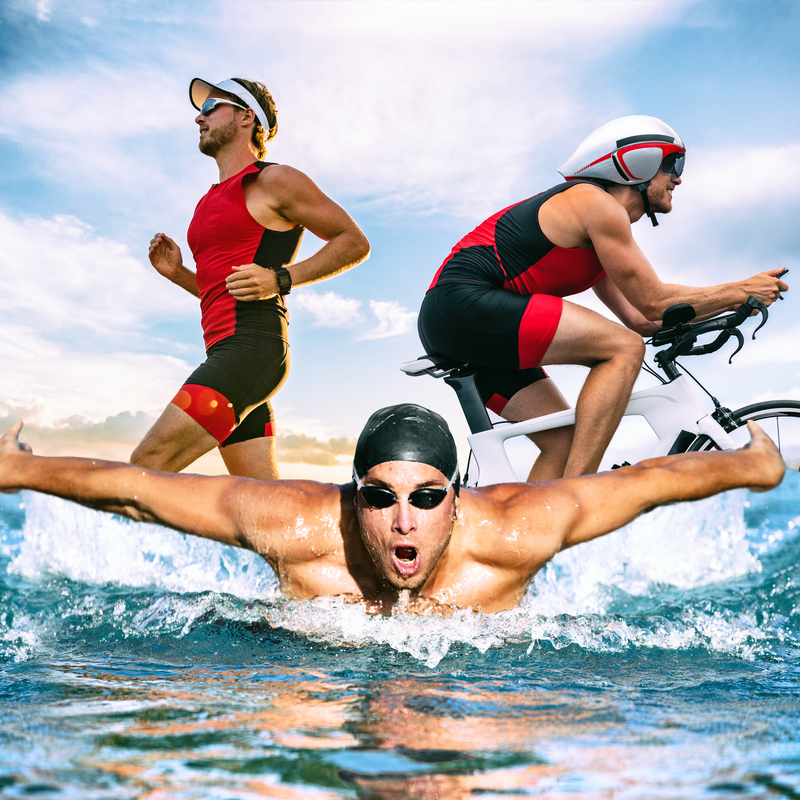 Ironman Triathlons are extreme triathlons that involve a 2.4-mile swim, 112-mile bike ride and a 26.2 marathon all back-to-back. People who compete in an Ironman must complete all 3 events within 17 hours, with specific cut-off times for each event. These triathlons are not for the faint-of-heart! Participants must place high in other Ironman triathlons in order to compete in the coveted Ironman World Championship in Hawaii. The oldest record-setter for his age group of 75-79 for the triathlon was 75-year-old Jim Ward, who had a time of 15:51:46. That goes to show that fitness knows no age limit! Speaking of fitness, you want to ensure that you are training properly to achieve your goals and to avoid injury. Marathons are wildly popular, but require strict dedication and training properly. These are not races you can just enter and run in on the same day (unless you have done many of them before). With any physical endeavor, make sure you always have a consultation with your medical doctor. You want to ensure your body and heart are healthy enough for a rigorous training schedule. Get a really great pair of shoes and orthotics (if you need them) to avoid foot and leg injuries. Invest in quality running clothes, a sports bra, headbands to keep the sweat out of your face, etc. Proper gear can significantly help you. Use sunscreen and proper eye/skin/body protection when training outside. Eat, but eat well. Those who run marathons must cut out most sugar and processed foods, and must get protein- and carb-rich foods in their diet. The wrong foods will leave you sick, with digestive problems, and sluggish if your diet isn’t correct. You can get a customized plan through a doctor or physical therapist. Start off with shorter races. 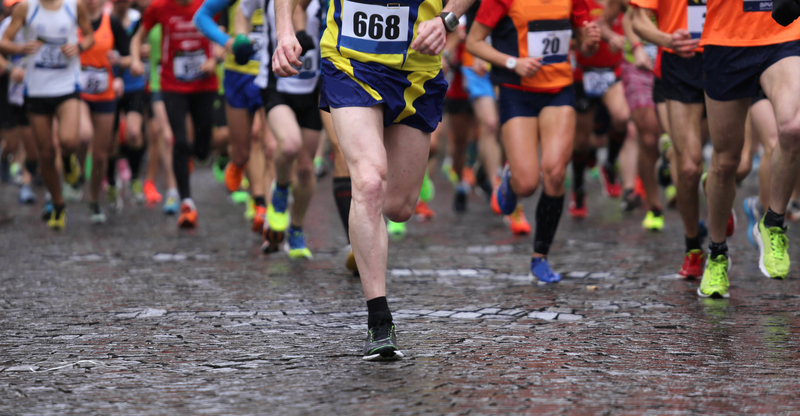 A 5k, 10k and other races can get you mentally and physically prepared for larger races. Studies show that most people who do marathons and triathlons start running a year ahead of time to fully train their bodies. Get good at running throughout that year before you start a full marathon training program. Waiting a year may seem like a long time, but it’s better than being injured for 6-12 months from not training properly or preparing right. Hydrate! Drink at least ½ your body weight in ounces when you’re not running and drink even more when training. Make sure you can actually swim. If you can’t, reevaluate your goals and start taking lessons now. Swimming is much different than running and distances that seem short are much longer in the water. Invest in proper wet gear. Many triathlons hold the swim portion in cold, natural bodies of water. Wet suits and proper, professional swimming gear will keep your body warmer and may even save your life. Make a workout schedule where you alternate running, biking and swimming and where you work on transitions between the three. Get help from others who have done the races before and follow their advice. Participants in marathons and triathlons get injured most often because they try to do too much, too fast. You have to ease into marathons and triathlons, which is why making a schedule is so important to reaching your goals. Small steps improved upon each day will get you where you want to be. Don’t immediately start running 10 miles each day, when you’ve only ever done 2. Ease into running and slowly increase your mileage. If not, you may end up with injuries. Do a small warm-up and then stretch your muscles to avoid injuries. Also stretch after your full workout to keep muscles loose and limber. When you get injured (and many do), enlist the help of a physical therapist to get you back in the race—literally. Getting physical therapy services can help you with training properly. Vibration exercises and our vibration machine can help keep your muscles stronger during the winter and when you’ve skipped days training. A full medical evaluation can pinpoint trigger points, compressed nerves, body misalignments and more that should be fixed before training. When injuries happen, physical therapy and chiropractic services can help you get back in the race quicker and stronger. For help training properly for marathons and triathlons, call Mile High Spine & Pain Center today at (720) 507-0080! At Mile High Spine & Pain Center, we use a “state of the art” integrative, non-surgical approach to treating the spine and joints, based on the most current research. Our multi-disciplinary team offers protocols to treat back pain, knee pain, shoulder pain, foot/ankle pain, arthritis, neuropathy, headaches and migraines, sports performance and more. We utilize the best of what each discipline has to offer, combining dynamic and isometric exercise, spinal manipulation, stem cell therapy, non-surgical medical procedures and dry needling to achieve previously unheard of results, even with patients who have been told they cannot be helped.